You are here: Home / About EDA / Why EDA? 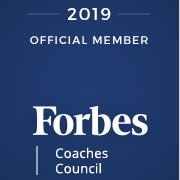 Our CEO, Bonnie Hagemann, is a talented consulting firm leader and one of the few executive coaches who provides coaching and thought partnership for CEOs, their teams and C-Suite leaders in leading organizations around the world. Under her direction, EDA delivers outstanding results for our clients. In addition to leading a firm of very high quality consultants and back-office staff, she stays close to the clients and the work in order to ensure a trusted partnership where relationships are built and maintained, leaders are developed, and results are achieved. EDA has a remarkable 36 year track record of creating and running executive/leadership development programs for leading companies. We have worked for many of the Fortune 100 and companies like them, in all parts of the world. Our list of satisfied clients is very impressive and includes companies such as IBM, King Faisal Specialist Hospital and Research Center, Sun Microsystems, AT&T, Colgate, Weyerhaeuser, Boeing, St. Luke’s University and Health Network, Fujitsu, BellSouth, Home Depot, and Texas Instruments to name a few. EDA has been a leader and pioneer in the field. Our founder, Jim Bolt’s Harvard Business Review Article, Tailor Executive Development to Strategy was the first publication advocating and chronicling the strategic use of executive development rather than education for education’s sake. It was one of the most requested reprints of an HBR article and had a major impact of the field by showing how executive development should, and could, build the executive capabilities needed to achieve the organizations vision, live it’s values and successfully executive it’s strategy. His book, Executive Development: Strategy for Corporate Competitiveness was the first to chronicle how CEOs were using executive and leadership development to both shape their strategic agenda and build the capabilities to achieve it. EDA created the Rapid-Cycle Diagnostic and Design® process for designing new executive/leadership development programs quickly (fast time-to-market) and with deep line leader ownership. Program designs are created (under the guidance of EDA) by small teams of hand-selected, line executives who are then excited about the new programs, feel a great deal of ownership in them, are advocates for them and want to continue to help make them successful, i.e., they become champions for the overall executive/leadership development efforts and the specific programs designed. EDA achieves excellent, measurable results for our clients. We put a great deal of emphasis on holding participants accountable for applying what they have learned back on the job and on measuring the results as well. Examples include 90% of participants in one program having improved their leadership effectiveness as judged by the people who reported to them in confidential evaluations. Another reason for selecting EDA is our depth of knowledge of industry best and leading practices. The combination of our consulting and trends in executive development research keeps us up to date with the very latest in what leading companies are doing as well as what does and does not work in today’s marketplace. EDA also has an attractive and flexible business model. We help accurately identify your executive/leadership development needs and then assist with the custom-design of the programs. Then then we utilize both internal and external consultants. That gives us the flexibility to get the best-of-the-best faculty resources to the meet your specific program needs rather than having faculty on our staff that we have to push on the client like many executive development programs in top universities. Since we’ve been in business for 36 years, we have great access to world-class faculty resources, both academics and consultants. We believe in partnering with the client to provide whatever level of service our clients require. We can simply provide advice, support and consult to your internal efforts, or at the other extreme, provide a complete “outsourced” service where you simply provide the names of participants and we do everything else to run a successful, high-impact executive or leadership development program, process or strategy.